The Statue of Liberty gazes over New York Harbor and the race course. Photo provided by Manhattan Yacht Club. Any team of U.S. women sailors can apply to participate. This is an amateur event for women sailors, and unlimited crew substitution of similar weight will be allowed during the regatta. Prizes will be awarded to the top five teams. The entry fee of $350 covers the cost of the boat charter. There is a $500 damage deposit, which will be refunded to teams at the end of the regatta, unless your team causes damage to one of the J/24 sailboats. Lady Liberty Regatta began in 1989. Photo courtesy of Manhattan Yacht Club. The regatta will be raced according to the International Racing Rules of Sailing as adopted by U.S. Sailing and modified by the Sailing Instructions. Races will be held in New York Harbor. All races will start and finish from the Honorable William Wall, Manhattan Yacht Club’s floating clubhouse anchored north of Ellis Island. Courses will be windward-leeward. Inflatable marks will be set by Race Committee. Because the starting location is fixed, races may start upwind or downwind. The Low Point Scoring System will be used. If five or more races are completed, each team may discard one race. 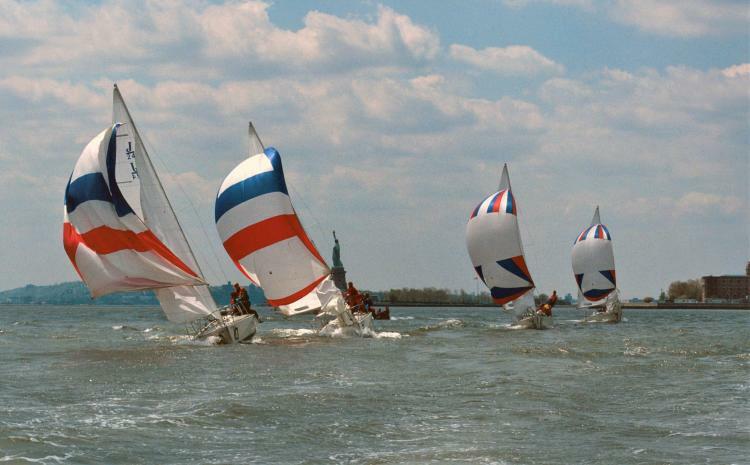 This regatta will be raced on identical J/24 sailboats provided by Manhattan Yacht Club. 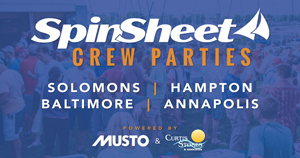 The mainsails, genoas and jibs, plus sheets and all other equipment except spinnakers will be provided. Teams may bring their own J/24 Class spinnakers. No other equipment may be brought aboard. Teams will rotate boats after each race. 1000 to 1600 - Practice sailing permitted in the harbor. Sponsored by the New York Harbor Sailing Foundation, whose mission is to foster and promote amateur sailing of national and international importance in New York Harbor. Register here or for more information or request entry, please email Manhattan Yacht Club, or call (212) 786-3323.